Hipsters get a bad rap, mostly because they deserve it, but that doesn’t mean that doing things in odd and ridiculous ways is too cool for the likes of us, no sir. You type, I imagine, on the order of seven or eight hours a day, at least. What if you could spend a few of those in style, pecking away not at a black plastic molded monstrosity, but a typewriter. You heard me, a typewriter. Yes, all the cool kids have their mechanical gaming keyboards, or their svelte Apple keypads, but have you ever seen someone breaking the news on a machine that could have been used to write Tortilla Flat? Where there is a will there is a way, so let’s all say a big TNW hello to USB Typewriter, a company that sells both kits that can be used to link up a typewriter to a computer, and completed machines, ready to go right out of the box. The only downside is that the machines aren’t cheap. 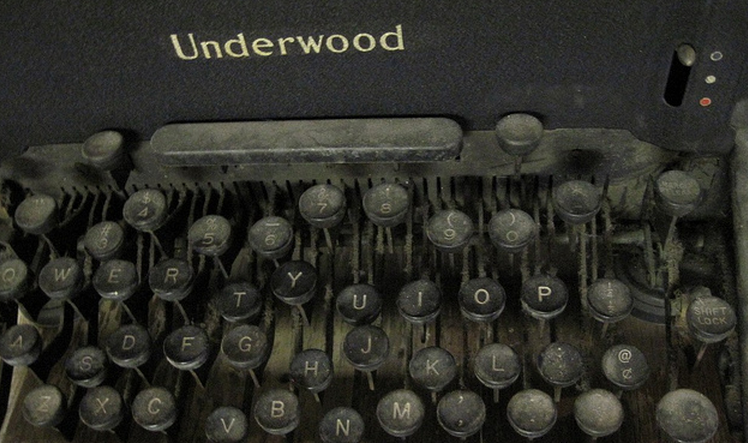 The pre-made typewriters will set you back just about $800. The ‘do it yourself’ kit is only $74, but what is the chance that your soldering gun still works? All this is almost quasi-steampunk, which makes for great Friday day dreaming. Hit a few keys on your keyboard – lame sounding, aren’t they?